Halloween is happening, happening, happening! As the song goes. This year my neighborhood is having a Halloween house decorating contest for bragging rights. It never hurts to look for handmade Halloween decorating ideas early because Husband is determined to win this thing. With a little help with my friends (and another song cue) some of my favorite craft blogging friends and I put together a Halloween DIY decoration and costume round up featuring our favorite Halloween tutorials from our blogs. If you need ideas, this is the place you want to be! 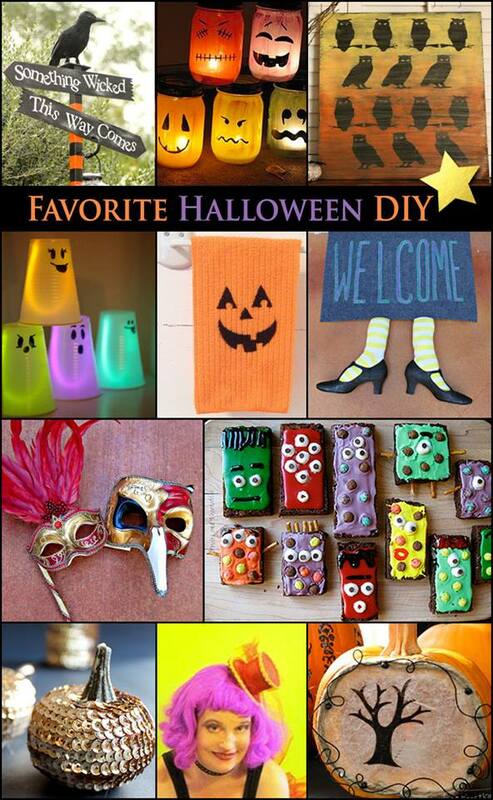 Pin this post for Halloween ideas!